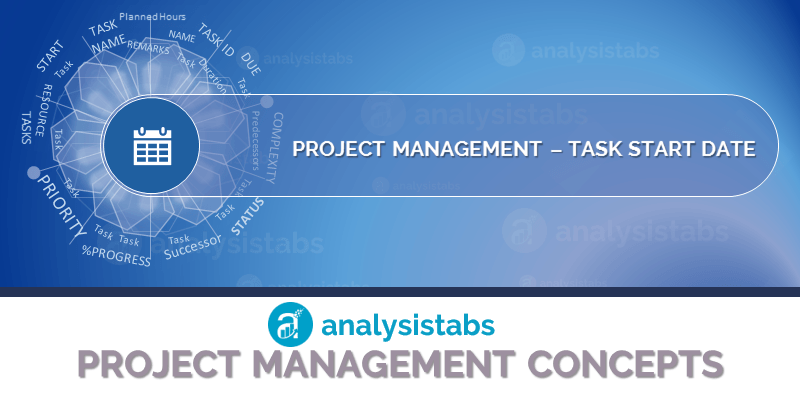 Task Start Date Field in Project Plan Template - ANALYSISTABS - Innovating Awesome Tools for Data Analysis! Start Date of Task is starting day of the planned work. This is decided by the Project Leads based on the availability of the Inputs and Team bandwidth. Start Date of Task is a required field and it is generally a Date data type Field, the format of the date may change from county to country. Date Picker control is used to select a date. Below are the more important use cases of Start Date of a Task in Project Plan Templates. Start date should be working day, not to be an Holiday or week end. Resource availability can affect the Start date. Responsible person of the task need to agree to the Start date. Start date Helps in preparing a Gantt chart of the Project Tasks. Start Date of Task is a Mandatory field in the Project Plan Templates.